- I'm really now a Premier/AfterEffects pipeline producer, even though I possess the full Apple Final Cut suite as well. You can find a list of my hardware and software on my website: xyvector.com. Steve is awesome!!! My company, Miami Valley Falconry, needed someone who had not only the expertise in video editing but also the needed skill behind the camera to capture our birds in flight. Steven got an excellent shot of our falcon hitting the lure in mid air and some really good footage of our other birds. He will most certainly be hired again for our next adventures! Steve and XyVector Media are absolute pros! They helped capture the excitement of our stunt dog shows at the Indianapolis Zoo. We are extremely proud of the Stunt Dog Adventure footage and the incredible footage XyVector Media filmed for us. Our show at the Indy Zoo has been an incredible success for over 4 years and this video has helped us sell our show to other event buyers. We can't say enough about the professionalism, attention to detail, patience, and quality of XyVector Media Service! Give them a shot (no pun intended), you won't be disappointed! P.S. They also specialize in animation and did an incredible job animating our logos! Our tails are still wagging', we couldn't be happier! Steve and I worked together at a university where he taught me many things to improve the quality of my visual work. Since then, I've contracted him on several videography projects that required high quality camera and sound work, editing, animated text, and moving graphics. Steve is a pro and very creative. Steve has done several projects for us. Each time the work has been exemplary. We would not hesitate to use him again for anything and highly recommend his work. You will not be disappointed. The freedom to choose my work and clients, and concentrate on those projects that I know I will excel at. This keeps everyone happy. And creating beautiful pieces that really "speak" on their own. The media itself. I've been inspired by film and video for 33 years as a "concentration", instead of simply entertainment. Well, for starters, the over 60 - 5-Star reviews I obtained on Thumbtack.com prior to moving here to Bark. 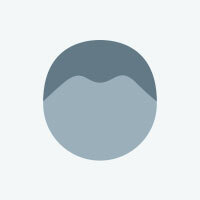 You can see them now in the XyVector Profile pictures. 27 years of industry experience. 2 Awards from the industry standard, peer-reviewed Aurora Awards...1 Gold for Editing and 1 Platinum Best of Show for DVD Interface Design. Flexible and helpful with the client's materials and computer knowledge and abilities, when called upon. Flexible also enough to be happy working with both the pros and those with much smaller projects. AN UNDERSTANDING THAT COMES WITH EXPERIENCE AS TO WHAT A CLIENT DESIRES IN THEIR FINISHED PRODUCT. I dig deeply and ask questions to make sure you get all of what you're asking for, and most of the time help educate new clients to what can be done FARTHER than what you are expecting. Real film. Reel film. Developed, synced, Hollywood style. You know who you are. Just ask. Arriflex. Bolex. No BS. From April 2014 to present. Whatever your requirement, Bark will help you find local companies like XyVector Media Services.